A few months ago, I advised my dad to start an autoimmune protocol. As part of that protocol, I also told him that he would benefit from taking supplements that would boost his body’s innate detox mechanisms. One of the supplements was diatomaceous earth – when my dad saw me mixing the whitish powder in water, he said ‘You want me to eat dirt that is used to kill bugs?!? That’s not happening sweetheart…’ He did end up taking it although I am pretty sure this had more to do with him wanting me to stop nagging him than with the various studies I cited. After a few days, he told me his joints were much less painful and that he was feeling much more energetic. So I thought why not write an article on this unknown natural supplement? Keep scrolling to find out what diatomaceous earth is, how it can improve your health and the various ways to use it. Hint: diatomaceous earth has many uses besides being a great dietary supplement. Word of Caution – Please read this before using diatomaceous earth. It is EXTREMELY IMPORTANT that you use only FOOD GRADE diatomaceous earth for consumption or use at home since filter grade diatomaceous earth is toxic to humans and can cause cancer if inhaled. Of course, it is never a good idea to inhale any form of powder but inhaling FOOD GRADE diatomaceous earth is unlikely to cause issues since this type of diatomaceous earth is rapidly eliminated from the lung tissue. The first time I heard about diatomaceous earth, I thought ‘Wow, I’m really bad at geography’. It turned out that diatomaceous earth is not a state but a natural fine white powder formed from the fossilized remains of diatoms, minuscule aquatic organisms which are a kind of hard shelled algae or phytoplankton. Even if you’ve never heard of diatomaceous earth before, you’ve probably used it. Diatomaceous earth is often used in food manufacturing, skin products, in farming as well as powders, dusts and pressurized liquids which are utilized in gardens, on farms and on the exterior of buildings. It is also used to kill insects, viruses and parasites. Its high content of silicon, a mineral which the body needs to build health hair, nails and teeth. Its harness – diatomaceous earth has a hardness of 8 on a scale where diamond has a hardness of 10! Its tube-like structure with holes in it (you’ll only be able to observe this using a microscope). Its very strong negative charge. Wondering why these characteristics make diatomaceous earth special? I’ll get to that in a bit. 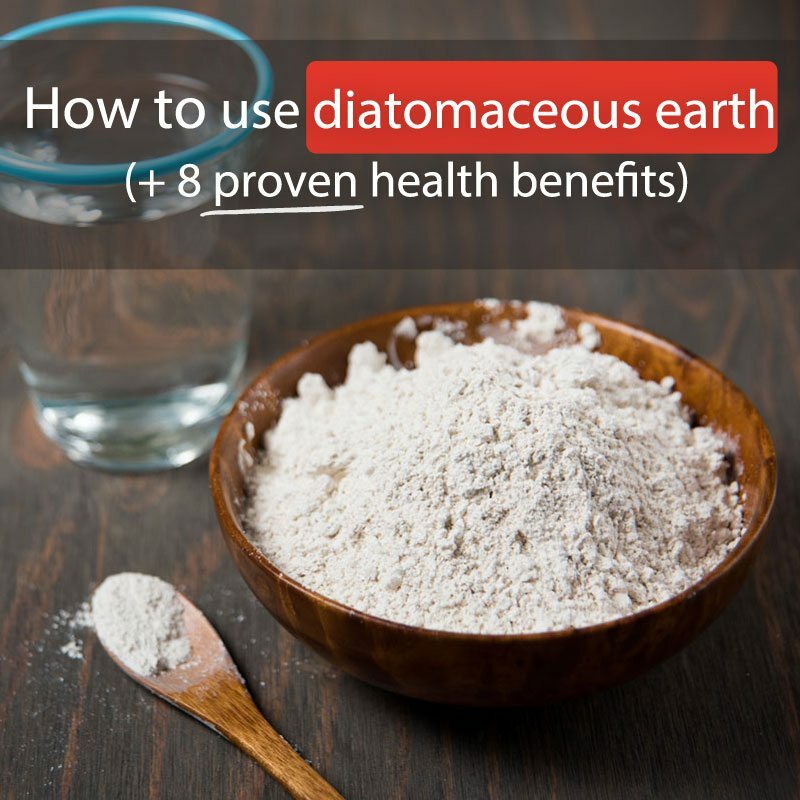 Top 8 health benefits of diatomaceous earth. 1. Diatomaceous earth supports our body’s natural detox pathways. One easy way to get rid of these metals is to take diatomaceous earth internally (see the ‘how to use section below.) You see, metals have positive charges and are ‘attracted’ to the negatively charged diatomaceous earth. Once the two bind together, the heavy metals can be easily excreted from the body via the gut. 2. Diatomaceous earth helps kill viruses and parasites. Research indicates that diatomaceous earth can help absorb over 80% of viruses present in tap water – this included poliovirus 1, echovirus 5 and coxsackievirus B5 which remained in the water even after filtration. In a study involving hens, scientists found that diatomaceous earth acted as an effective parasite cleanser. The birds treated with the powder were healthier (they experienced fewer infections), heavier and laid eggs that had larger yolks with a higher concentration of nutrients. 3. Diatomaceous earth may slow down cognitive decline. As mentioned earlier, diatomaceous earth is naturally rich in silicon, a mineral which exists in the form of silica or silicon dioxide. Lab studies show that silicon helps prevent the accumulation of aluminum in the brain – it appears that the silicon bonds with aluminum, reducing its absorption in the digestive tract. Since aluminum toxicity is believed to be involved in the progression of Alzheimer’s disease, scientists speculate that a diet rich in silicon can help ward off cognitive decline. In fact, in a French study, researchers found that elderly subjects were more prone to cognitive dysfunction when the levels of aluminum in drinking water was high and concentrations of silicon was low. However, when silicon levels were higher, exposure to aluminum had a smaller impact on the participants’ cognitive function. 4. Diatomaceous earth enhances bone, joint and ligament health. Thanks to the silicon it contains, diatomaceous earth may help increase bone mineral density while enhancing the synthesis of collagen, a type of protein that ensures bone flexibility as well as healthy tendons and ligaments. According to research silicon intake may help increase bone mineral density in men, osteoporotic women as well as premenopausal and postmenopausal women. This indicates that, along with vitamin D, silicon may help delay the onset of osteoporosis. Silicon is also an essential nutrient for the structural integrity and development of connective tissue. Studies show that silicon is able to stabilize the glycosaminoglycan network which forms connective tissue. What this means is that silicon helps keep connective tissue such as cartilage flexible and healthy. Cartilage is a type of tough, flexible tissue found throughout the body. It covers the surface of joints and thus reduces friction and prevents damage when bones slide over one another. 5. 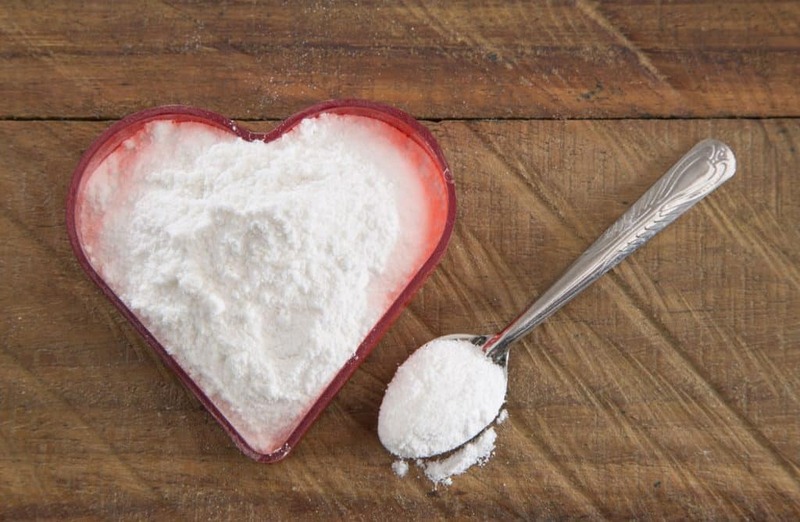 Diatomaceous earth may support heart health. Once again, this particular health benefit of diatomaceous earth can be attributed to the silicon it contains. It appears that the mineral is able to reduce the occurrence of atherosclerotic lesions in blood vessels. In a study, researchers found that consumption of 250mg of diatomaceous earth three times per day for 8 weeks helped improve the participants’ lipid profile. However, more research is needed since the study was small and did not have a control group. 6. Diatomaceous earth can help you get rid of candida overgrowth. Let me start by saying that, to my knowledge, no study has been conducted to evaluate the effect of diatomaceous earth on candida albicans which is a type of yeast that lives in our intestinal tract. 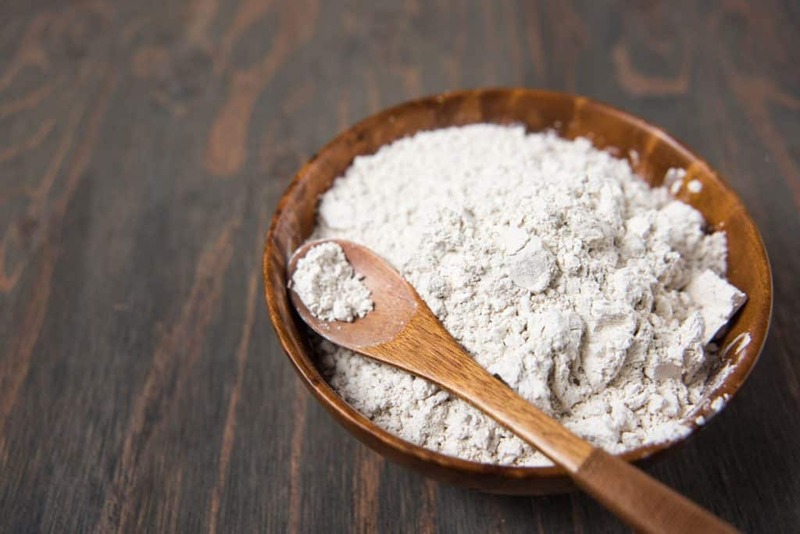 However, in my practice, many patients have reported significant improvements in their symptoms and overall health after taking diatomaceous earth and bentonite clay (see below in the ‘how to use’ section) for about a month. Candida albicans is an opportunistic yeast which means that it will grow out of balance if your immune system is weakened – this would be the case if you have taken several rounds of antibiotics in the past or if you eat conventional meat since farmed animals are usually given lots of antibiotics. 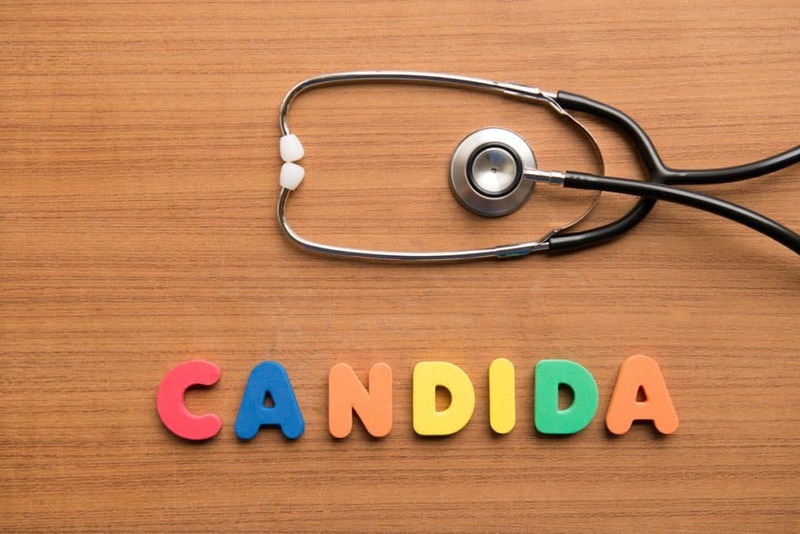 An excessive sugar, alcohol and coffee consumption as well as the presence of parasites in the body or chronic stress can also lead to overgrowth of candida. This would typically show as a whitish coating on the tongue, intestinal distress (read constipation, gas or bloating), anxiety and depression or mental fog, chronic infections and unexplained weight gain. How can diatomaceous earth and bentonite clay help? Remember that I mentioned earlier that diatomaceous earth is very hard and looks like a hollow tube? Well, thanks to its hardness, the powder is able to act as a razor blade that slices open the exoskeleton of the candida albicans which is then ‘trapped’ in the tube. The bentonite clay then carries the shell out of the body. Moreover, diatomaceous earth is a good source of zinc, a mineral that has been shown to help boost our immune system in a way that prevents out-of-control inflammation. 7. Diatomaceous earth nourishes hair, skin and nail health. Guess which mineral is responsible for this particular health benefit of diatomaceous earth? You’re right: silicon is the star again. As mentioned earlier, silicon is necessary for the production of strong and elastic collagen. This protein is not only involved in bone health: it also acts as the skin’s scaffolding. If the collagen in the skin is weak, the skin will sag and if it is all stiff, wrinkles and fine lines will appear on the skin. Silicon is one of the predominant minerals in nails and the outer shaft of hair – the mineral provides strength and elasticity to both hair and nails. A deficiency of silicon would lead to brittle and soft nails that are more prone to fungal infection. Inadequate intake of dietary silicon would also result in increased hair fall as well as dull looking hair that does not grow well. 8. Diatomaceous earth can alleviate fatigue. Let’s take the spotlight off silica now: diatomaceous earth is also a good source of magnesium, a mineral required for over 300 biochemical reactions in the body. This includes stabilizing our body’s energy molecule, adenosine triphosphate (ATP) and converting glucose into energy. In other words, if your magnesium levels take a dive, so will your energy level! Researchers found that individuals who had low body stores of magnesium needed more oxygen to perform low-level activities compared to when their magnesium status was adequate. In essence, low magnesium levels force the body to work harder which, over time, can leave you feeling depleted. That’s not all, dietary deficiencies of magnesium have been associated with improper functioning of the nervous system. 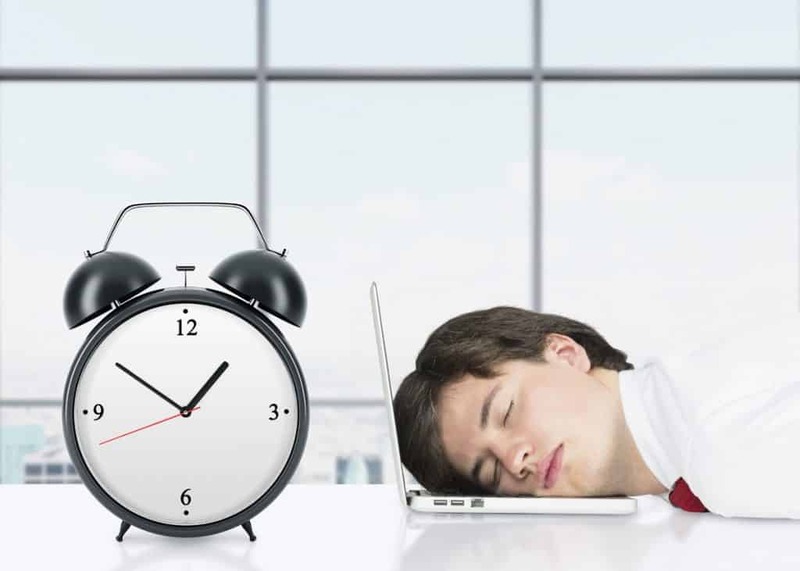 This leads to irritability, agitation, and hyper-excitability which may disrupt your ability to fall and stay asleep. Magnesium also comes with an impressive health benefit repertoire: this mineral also helps reduce inflammation, improve insulin resistance and promote heart health. Who would benefit from taking diatomaceous earth? As with any dietary supplement, please consult your doctor before taking diatomaceous earth. Based on the health benefits of this powder, most of us would benefit from consuming it a few times per year. Plus, since the quality of the soil has considerably declined, the silica content of crops is now much lower than what it used to be. However, low stomach acid levels has been found to decrease the body’s ability to absorb silicon. As such, individuals who have taken or are taking acid-suppressing drugs such as proton-pump inhibitors like omeprazole or nexium (esomeprazole) or antacids like gaviscon would benefit from taking a supplement that contains silicon. These individuals would also greatly benefit from stopping these drugs (under the supervision of a qualified health professional) and starting a digestive protocol that would help their stomach increase its acid production back to normal. 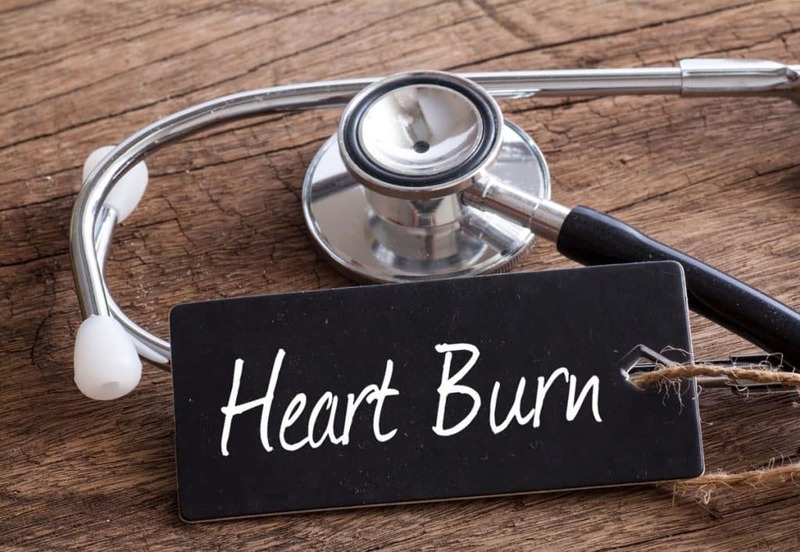 Tip: if you suffer from heartburn, bloating after meals, gas and constipation, chances are that your body is not producing enough gastric acid. Moreover, since plants are the best food sources of silica, individuals who barely consume any produce will probably have a low intake of silicon. If that’s your case, you might want to gradually increase your consumption of veggies and then consider taking diatomaceous earth from time to time. Yes, I’m talking about ingesting diatomaceous earth – you can’t compare it to a chocolate sundae but it is practically tasteless (although my dad made the funniest faces ever when drinking it). One very important factor to keep in mind when ingesting diatomaceous earth is that you need to allow your body to get used to it. In other words, start with a small amount (about 1/2 a teaspoon in 8 ounces of water) for a week and then gradually increase this amount to 3/4 teaspoon up to no more than 1 tablespoon per day. I usually advise my patients to split this final dose in two: 1/2 tablespoon in the morning and the other half in the evening. To prevent constipation, make sure to drink another glass of water within 15 to 30 minutes after taking the diatomaceous earth. 2. To fight candida overgrowth and get rid of parasites. For optimal results, mix bentonite clay with diatomaceous earth – start with 1/2 teaspoon of each mixed in 8 ounces of water. Drink an extra cup of water after taking the mixture in order to prevent constipation. After a week, increase the dosage to 3/4 teaspoon of bentonite clay and 3/4 teaspoon of diatomaceous earth. Work your way up to 1 teaspoon per day – I usually advise my patients to split this dosage in two that is 1/2 teaspoon of bentonite clay and 1/2 teaspoon of diatomaceous earth in the morning and at night. This mixture is best taken on an empty stomach at least 1 hour before or 2 hours after meals. Do not take bentonite clay or diatomaceous earth for more than 30 consecutive days. You could either take the mixture every six months or you could take it 10 days on and 10 days off for 90 days. Make sure to use a glass rod or plastic spoon to stir the powders (not a metal one). You would also need to change your diet and take antifungals in order to effectively get rid of the yeast overgrowth. As the parasites and yeast die, they will rebel and produce toxins which may lead to die-off symptoms such as mild headaches, flu-like symptoms and unexplained fatigue. But don’t worry, these symptoms will disappear within days or weeks. Many of my patients and myself have extremely sensitive skin so commercial deodorants are not an option. Instead, I often advise them to make their own deodorants by mixing 3/4 cup of arrowroot powder with 1/4 cup of diatomaceous earth, 10 tablespoons of almond, avocado or coconut oil and one drop of essential oil. Start by mixing the powders first then slowly add in the oil, stirring gently but constantly until you’re happy with the consistency. 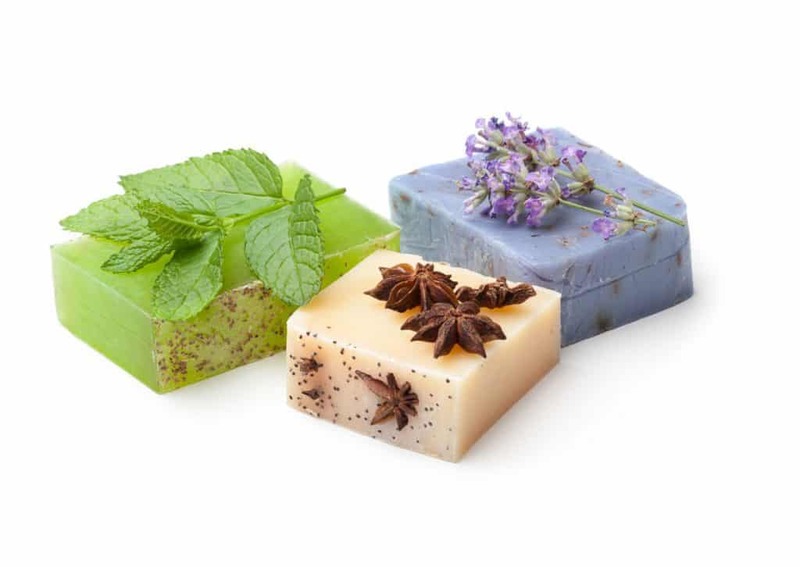 Finally add in the essential oil you like – don’t go crazy with essential oils though and never apply them directly to your skin because they can cause serious irritations. 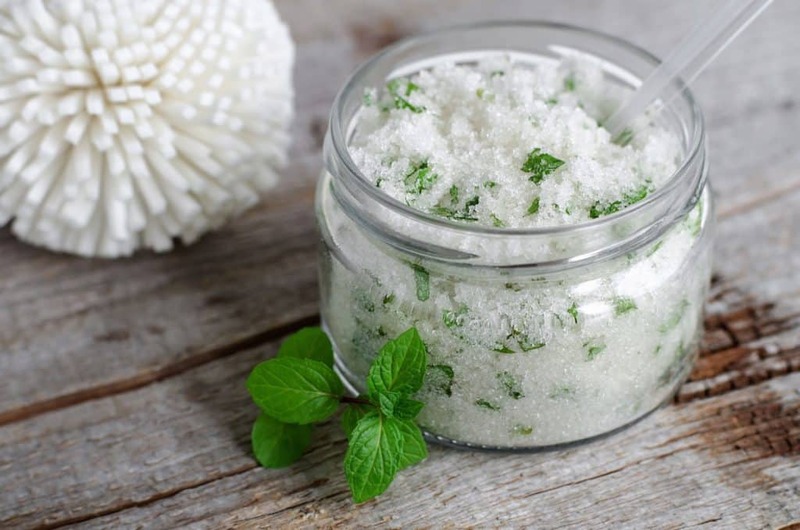 Transfer your ‘deodorant’ to a small, airtight glass jar and apply small amounts to your underarms using your fingertips. 4. As a facial exfolient and mask. When you’re a real food dietitian, you tend to read a lot of food labels and eventually you start reading all labels. When I started reading the labels on the cosmetics I use, I was quite horrified so I started making my own. 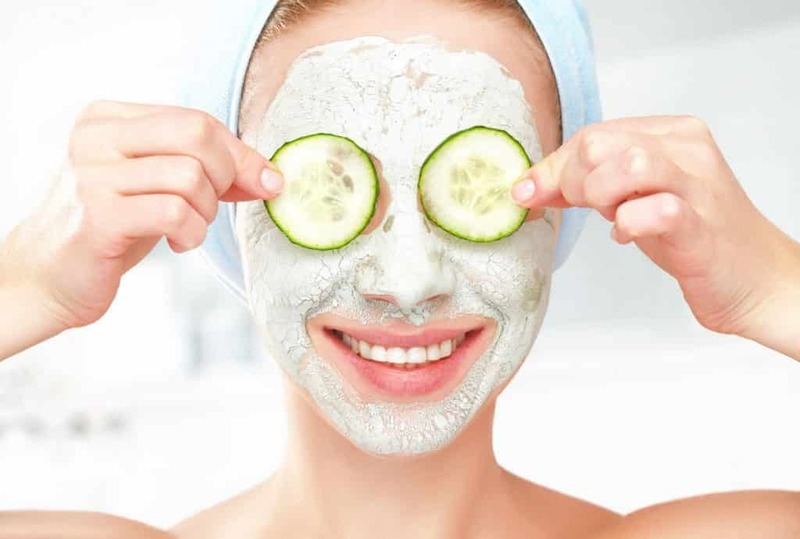 That’s when I found out that diatomaceous earth can act as a gentle facial scrub and mask by mixing about 1 tablespoon of powder with some water, aloe vera juice or a little bit of honey. 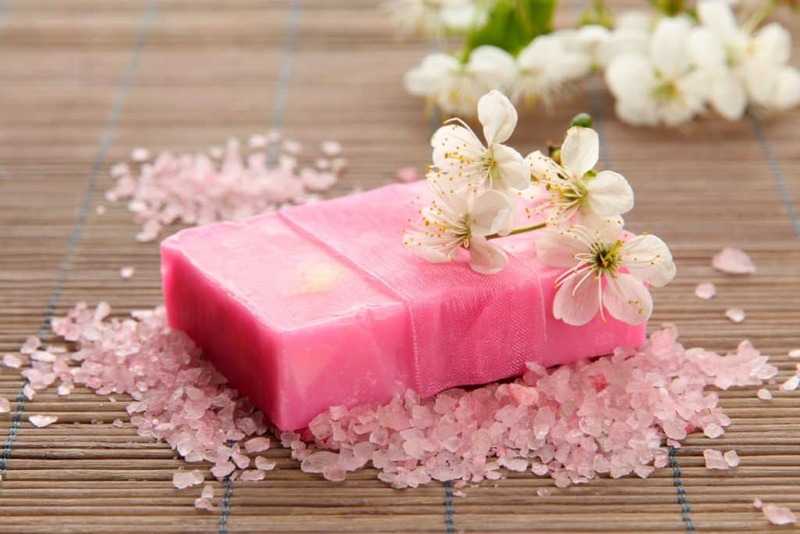 You can also mix the powder with extra virgin olive oil if you have dry skin. Using small, circular motions, lightly massage your face with your fingertips for 1 minute. Then let it dry for 2 to 3 minutes before washing it off gently with warm water using small, circular motion. Note: Do not use on broken or chapped skin or near the eyes. 5. As a bug, insect or flea killer. Got a hunch that fleas, bugs or insects now call your living room carpet ‘home sweet home’? Then brush and vacuum it to ‘annoy’ these unwelcome residents and get them to move – this will increase contact with diatomaceous earth. Once you are done vacuuming, sprinkle some diatomaceous earth on the carpet and let it sit for 6 to 12 hours before vacuuming again. Repeat this process once a week for about 4 consecutive weeks. 6. For garden pest control. Got an overpopulation of fleas, slugs, beetles or other unwanted pests in your garden? Forget toxic pesticides and use diatomaceous earth instead – the powder will cut into the insects’ bodies, causing them to die of dehydration. Yes, this sounds cruel but it is an effective way to control fleas on dogs and to reduce parasites in pets. Here’s how to use it – remember to repeat the process every 2 to 3 days to break the life cycle of fleas. Smelly garbage cans and fridge are never pleasant – an easy way to help neutralize odors is to use diatomaceous earth. Simply sprinkle some powder on the bottom of the garbage can or keep some diatomaceous earth in a small perforated container in your fridge or freezer. For optimal results, replace the powder in the container with a fresh sample every 2 weeks. Due to its chemical composition, diatomaceous earth is a great filtration aid that is able to filter tiny particles which filter papers cannot trop. As such, it is often used to purify fish tanks. How to store diatomaceous earth. Keep the powder in its original container in a dry place and out of the reach of children and pets. To prolong the storage life of diatomaceous earth, keep it away from moisture and make sure that the container is air-tight. Otherwise, wrap it in a plastic bag. Remember, although diatomaceous earth has been recognized as safe by the Food and Drug Administration, it is not intended to treat, prevent or cure any disease. Have you ever used diatomaceous earth? Share your experience in the comments below or on our Facebook page. I am reaching out from Strength.com, an online nutrition/fitness retail platform. I wanted to explore the opportunity of partnering up with Bembu. One way I envisioned this partnership working is to build out an online “Bembu Nutrition/Supplement Store” …. powered by strength.com”. One other great feature we can offer you is, the custom store we set up for you can offer ONLY the products on our platform you would like to offer your audience. For example, if you only wanted to offer our Health and Wellness category of product and maybe Proteins, that is all your custom online shop will offer. 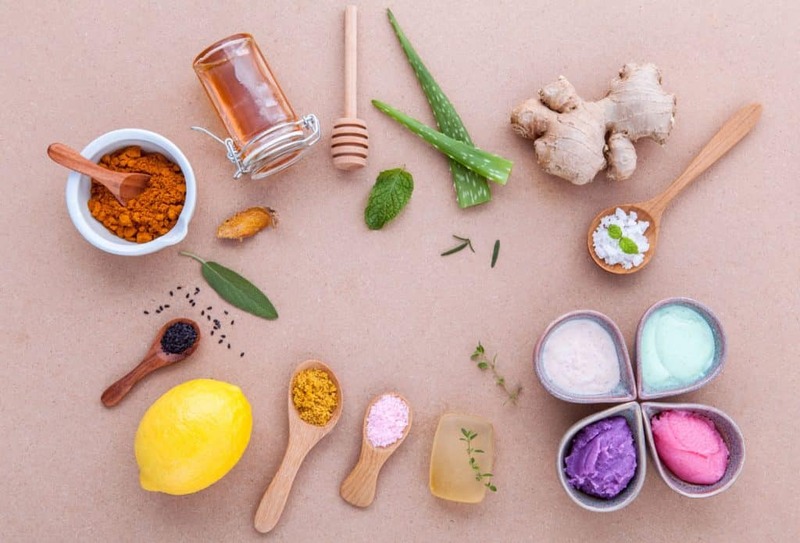 This partnership would enable your audience to purchase their Health and Wellness products through the Custom Online Shop. We have a great selection of well respected brands/products at the best prices online. We would also be giving all of your customers 10% off all our pricing when they shop through the custom shop we set up. The setup would be a revenue share model where we would give Bembu back 20% of all sales. I would love to discuss this opportunity in more detail and see if it makes sense for both sides. Thank you for your time and I look forward to hearing back from you at your convenience.